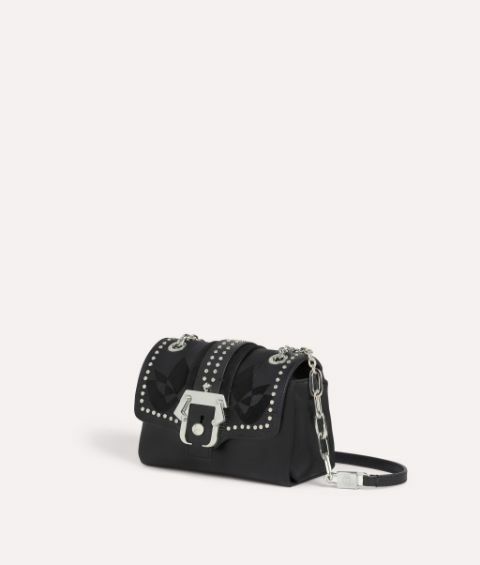 The black Kaia Love bag encapsulates Paula Cademartori's artistic flair and urban sensibility with lizard embossed leather and soft suede inlays. 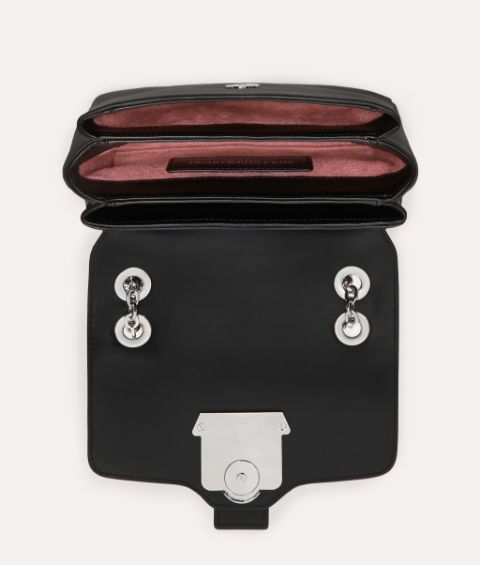 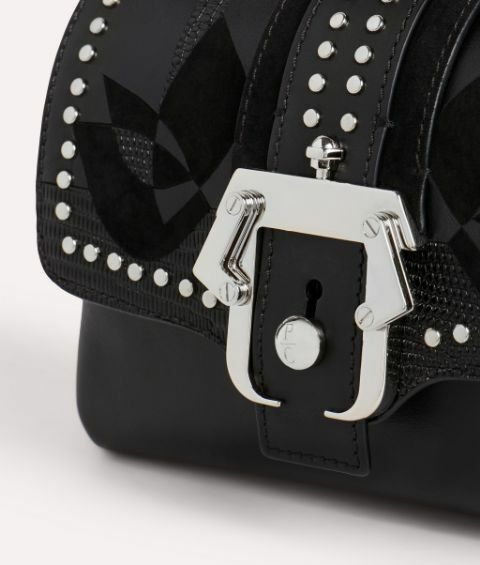 Silver studs and the signature buckle inject a dose of cool to this chic and compact design. 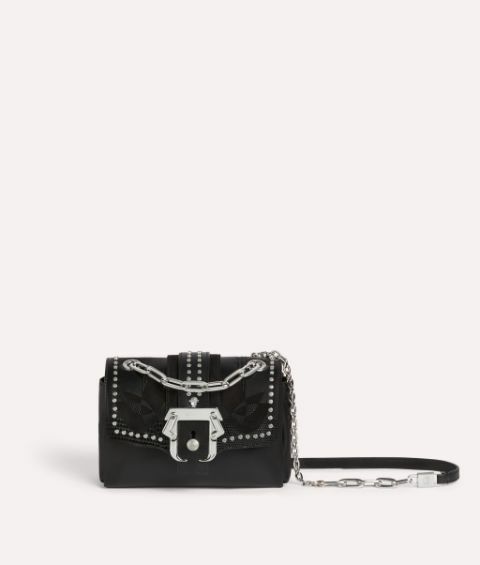 The metal shoulder strap is crafted with mixed size chain loops for a contemporary finish.